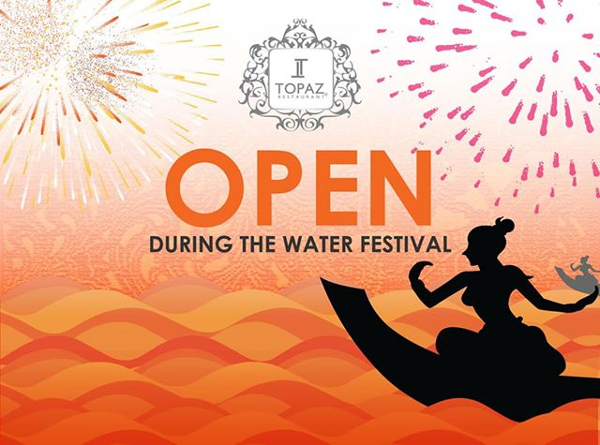 Topaz open during the water festival! The Water Festival marks the reversal flow of the Tonle Sap River and is a spectacular event with fireworks and boat races. Topaz welcome you to celebrate this exceptional moment with your family and friends! The Water Festival is a Cambodian festival celebrated in November and marks a reversal of the flow of the Tonle Sap River. Every town and province joins in with the festival but the biggest celebrations take place in Phnom Penh with boat racing along the Sisowath Quay. For three days, workers from every province join with the city’s residents to celebrate by night and day. The festival lasts for three days, and commemorates the end of the country’s rainy season, as well as the reversal of flow of the Tonle Sap River. It includes boat races and concerts, and attracts several million people each year.